Clean Masters Disaster Restoration Services provides professional cleaning and emergency restoration services in Charleston, Harleyville, Orangeburg, Reevesville, Ridgeville, Saint George, Summerville, Walterboro, and surrounding communities in South Carolina. 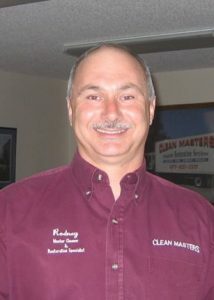 Clean Masters was founded in January 1990 by Rodney Faulling. Rodney’s hard work and determination helped grow his business from a single man operation to a company with a full fleet of trucks and a terrific staff dedicated to meeting the needs of their customers. As the company grew, so did the services offered, and today Clean Masters offers professional carpet cleaning, upholstery cleaning and rug cleaning in addition to emergency disaster restoration services. With more than 20 years experience drying residential homes, schools, commercial buildings and hospitals, Clean Masters has travelled throughout the United States provided services after tropical storms, hurricanes, and flooding. Delivering high quality service has always been important, and Clean Masters has invested in employee training and education, as well as top-of-the line equipment to provide the best results on every single job. Clean Masters owns and operates a “flood house” for training and demonstrations. When you call Clean Masters, you can be assured that you’ll receive only the best care and the highest quality services available. Feel free to contact us to learn more about our company or our services.